The recoveries of Gareth Bale and Karim Benzema have put Isco Alarcon’s future participation in Real Madrid games at risk again. Los Blancos were so good without the former Malaga man – for the third occasion this season – that it would be understandable if Zinedine Zidane once again turned to BBC to get Real out of their current malaise. 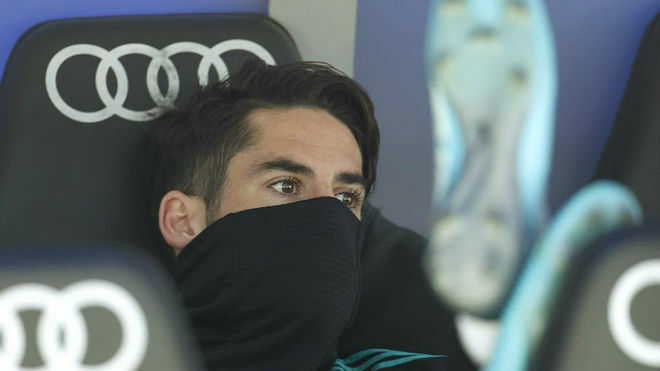 In the second half of last season, Isco was able to take advantage of absences due to the physical problems of his teammates, especially a Bale who, for now, seems to be back to stay. The French coach is also unwilling to allow Isco a place in the midfield where a Casemiro-Kroos-Modric triumvirate is untouchable, since it balances the team. At the Estadio Mestalla, Isco’s injury saved him from a problem with Zidane, but he will come back soon and find himself with nowhere to fit in. As already happened before signing his renewal, the player will have to ponder his future at the Estadio Santiago Bernabeu.